Rather a worrying trip into fandom with this one and not strictly movietecture either, rather comedytecture (or laughitecture maybe). Anyway, they’ve both been back on TV recently and I wanted to celebrate them in my own way. Spaced was without doubt the funniest comedy series that has ever been on telly, there I’ve said it. Quite by chance I saw the very first episode on Channel 4 at the end of last Century, and was hooked from the beginning with its smart characters, cool music, clever editing, and subtle (and not so subtle) references to popular culture, it was right up my street. I still think getting the Kia-Ora “its too Orangey for Crows… ” line in was pure genius. 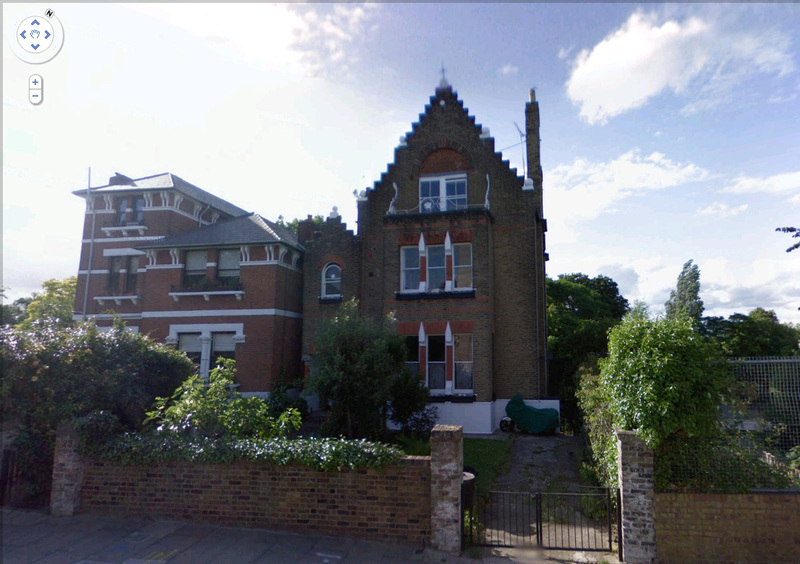 The Google Streetview screen grab below is of 23 Carleton Road, Tufnell Park, which stands in for 23 Meteor Street, the home of Daisy and Tim who share the house with Colin the dog, Marsha the upstairs landlady and Brian the artist in the basement. Black Books tells the stories of Bernard, Manny and Fran and how they continually wind each other up, and first aired not long after Spaced in 2000. In many ways the two shows had much in common, actors for a start. Simon Pegg, Nick Frost and Jessica Stevenson all appeared in episodes of the show, and Dylan Moran and Simon Pegg worked together on many subsequent projects. In fact the talent connected with both these shows is very telling. Apart from the obvious names above, there was Edgar Wright, Mark Heap (Jam) Graham Linehan (co-creator of the second ever funniest TV comedy, Father Ted) Bill Bailey, the funniest comedian, in the world, the lovely Tamsin Grieg (who apart from the brilliant Green Wing was also in The Archers), The League of Gentlemen, Nira Park (whose company produced both programmes) and Peter Serafinowicz. 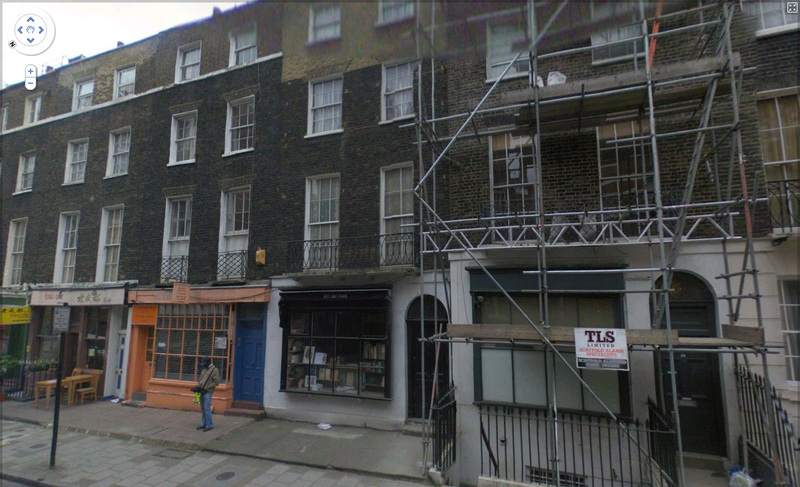 Anyway the stand in shop front used for Bernard Blacks shop can be found at 13 Leigh Street in Bloomsbury and is (coincidence or not, I don’t know, but it seems unlikely) currently home to Collinge & Clark, sellers of Antique and rare books.